This article of Geeabo teaches you about Top 10 Killer SEO Tips and tricks to boost your ranking in Google. Friends, ranking your website in Google is an almost every-bodies dream. But is it easy to rank in Google? What criteria should you follow to rank your blog in Google? Guys, When I started my career in Google (Online World) then, I was unaware of all these (Backlinks, On Page SEO, Off Page SEO, Ranking in search engines and all) things. But as the time goes by I understand so many things about these. So, today I will share my experience with you about top Killer SEO Tips to boost your Google ranking. Friends, according to me, your own experience is the greatest thing in any field. So, do mistakes and after that try to correct those mistakes by yourself. Because In most of the cases when you start rising or when you start defeating someone, at that time nobody helps you. So without wasting any time let’s get started. Follow these Killer SEO Tips & Tricks to boost your blog’s ranking in Google. Firstly, You must have to choose a good looking and well-coded theme. Friends, there are so many free themes available on the WordPress directory but not everyone is good. So before choosing any theme, you should check rating, downloads, comments, etc. If you have money and you can afford a premium theme then I recommend you to start your blog with a premium theme. Because it has better support, more optimized, well coded than free, etc. List of SEO Optimized Premium Looking Free Blogger Templates. 2. Write Good Quality Content. What you writing in your blog post is most important? How much your visitors understand your content? What type of words are you using in your content? These are the most important questions on which you have to work hard to get success fast. Friends, I recommend you to write your blog post using easy words so that your readers can easily understand you. Content is king when it comes to blogging career. In short, Write user-friendly (easy to understandable) content, unique content, informative content and meaningful content. After writing a good quality content, you must search for proper keywords. Friends, Keywords are those (1 to 5) words via which you rank your article in the search engine. Why do you need to search proper keywords? Friends, You might be thinking that when I write quality content then why I need to keyword research. So, if you want to get rank in search engines, want to get more and more organic traffic then without keyword research, you can’t rank in any search engines. Here is an article to know that how to search proper keyword. After writing quality content and proper keyword researching you must have to maintain your On Page SEO. To easily maintain On Page SEO you can install a plugin such as Yoast SEO or All in one SEO. After installing any one of these, you can easily maintain the On-Page SEO. After following all the above criteria, you have to build backlinks for your website. Backlinks help you to push higher and higher your article in the search engine. When you commenting on others blog, you must try to comment on those blog which are related to your niche. 6. Submit Your Site In Web Directories. Friends, generally commenting on others blog gives you no-follow back links but when you submit your link to web directories it gives you do-follow back links. Do-follow back links are better than no-follow because search engine only gives value to do-follow links. Build Back links for your website. Top 20 High PR Do-follow Instant Approval Directory Submission Sites. 30 Free High PR Dofollow Web 2.0 Sites List 2018. This will helps you a lot to build back links for your Website. Writing a guest post is an another way to create backlinks and to get more and more number of visitors on your website. Try to write posts on the reputed website or whose rank is below 10 lac. Writing a guest post is an essential part of Off Page SEO. You can also write a Guest post on Geeabo. 8. Sharing Your Post on Social Sites. Friends, after publishing your blog post, it is very important to share it on social media because social media are the best place to promote your website and get traffic. Top Free Social Bookmarking Sites List With High PR. Create your Site’s profile on almost all popular social media and share your article on it to get traffic and improve reputation. 9. Improve Site Loading Speed. Friends, if you want to get ranked on Google then you must care about your site’s loading speed. If your site loads slow, Google not gives you value even if you have good SEO optimized content. So, must care about loading speed. You can improve your site’s loading speed via installing a Cache Plugin. 10. Setup AMP For Mobile Users. Not everybody aware of AMP because AMP is a new feature of Google for mobile users. The main motive of AMP is to give better and faster results to mobile users. If you are facing AMP errors in Google Search Console then Click Here the link to know How to Fix AMP Errors in Google Search Console. So, these are the Killer SEO Tips. And by following all these Killer SEO Tips, you can easily boost your website’s ranking in Google. By using better and SEO optimized theme, your website ranking improves quickly. For an awesome free theme, Go to wordpress.org and see which theme has more ratings and also check their reviews. In your blogging career content is very important. So, must try to write informational and unique content. If your mind has an informative article then your next step should be researching a good keyword. There are so many free and paid tools are available. So, you can choose any one of them. I recommend you to use Yoast SEO. While Yoast SEO or All In One SEO is for On Page SEO. After that, you need to do Off-Page SEO. And for improving Off-Page SEO, you can comment on other blog related to your niche. You can submit your website’s link in Web directories, you write guest posts on reputed websites and you can also share your posts on different social media. Improve the loading speed of your website. Because Google gives value to those websites which load fast. At last, must concentrate on mobile searches because a large number of visitors comes from mobile devices. So, these are the Top 10 Killer SEO Tips & Tricks To Boost Your Ranking In Google. Thanks for sharing about best SEO tips. 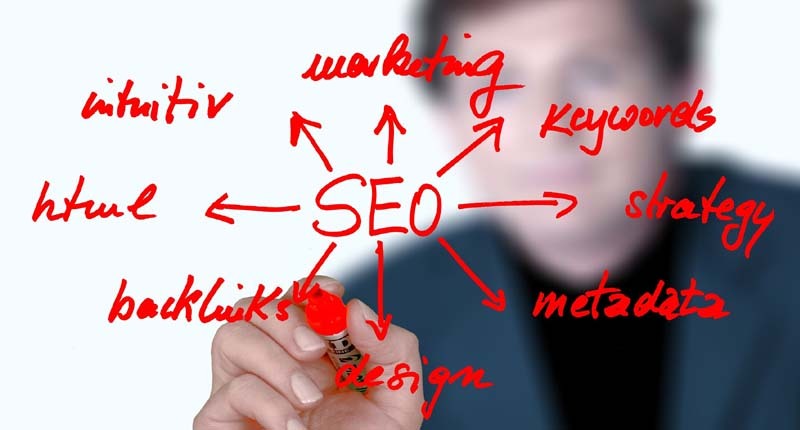 It will good if you can write on ON and OFF page SEO.